Due to the thread hijacking in the ships and equipment section, I thought that discussion about TaleSpin characters, ships and whatever could be handled here. 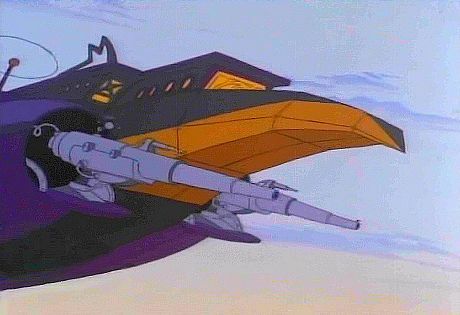 We've already found the AIAT/i as a potential ship to be used for the Sea Duck. Wakka wakka wakka! It's Pac-Man IN SPACE! Nice, I dig it. Good choice for an existing ship type. Karnage would be vain enough to overhaul its appearance into something more intimidating/flamboyant! Yes. Love the concealed turbolasers. Also the fact that they are anything but concealable. And the Providence has enough space to carry multiple squadrons and still have room for captured freighters which is something that the Iron Vulture was capable of doing. Looks like your photobucket links aren't able to show the pictures, Forbin. I don't get it cuz I'm seeing the pics in the post. I'm gonna stop using photobucket and try something else. Let me know if it works. 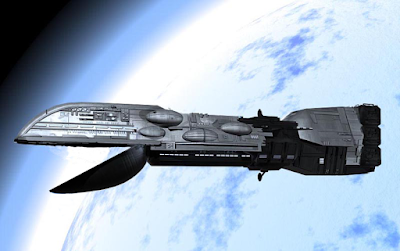 I like both Cap ships, and the Providence class was based on the earlier Dreadnought. What's the end game here? A playable module? Should we start statting stuff up? That's possible, we could also just make some stats for the ships and characters for cameos in someone's game if they'd like to do a little hat tip to the show. I do like the idea of a CIS capital ship being used for Karnage, maybe he fought with them during the Clone Wars and turned to piracy after the rise of the Empire? I like the idea of there being numerous rumors about Karnage's origins. Figuring out the truth could be an adventure in itself and it gives gm's flexibility when fitting it into a campaign. it would almost be fun to work up a galaxy guide like thing for the 'suzette sector' but thats probably a LOT of effort. i'll second the vote for the Providence as the vulture though....but if thats the case what sort of defenses does planet suzette have ? Hyper Velocity guns ? and it would make sense that he'd tell a different story any time asked, perhaps with each one containing a nugget of the truth.....sounds like his style. I like the Providence-class ship. Nice fit and an ex-Separatist ship seems perfect for pirates. - Cape Suzette is a moon of a gas giant. The gas giant's mass shadow forces everyone out of hyperspace a long distance from Cape Suzette, making sure every ship has a long realspace journey to the planet. Pirates can't sneak up on Cape Suzette. There are Golan battlestations surrounding the planet so any pirate attempting to raid Cape Suzette has to make it past her heavy defenses. I am trying to recreate the natural protection the cliffs provided Cape Suzette via the gravity of a gas giant. - Louie's is a small refueling space station with a hyperspace beacon. - Thembria is an ice world intent on conquering the nearby star systems.